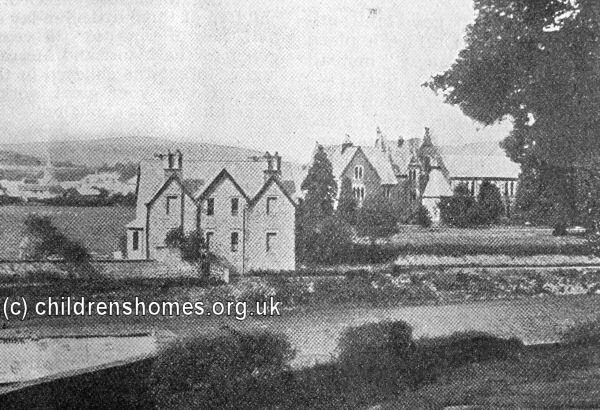 The Dinas Training Home for Orphan Girls was established in 1882 by the Girls' Friendly Society at Dinas Road, Brecon. The home could house up to 8 girls aged 6 to 12 years who were trained for eventual employment in domestic service. A payment of five shillings a week was requested for each girl, although some free cases were also admitted. On 14th September, 1882, the Home was accredited as a Certified School, allowing it to receive girls boarded out by the Boards of Guardians who administered the poor relief and workhouse system. In 1909, the running of the establishment was taken over by the Waifs and Strays Society, then becoming known as the Dinas Orphanage for Girls. The home closed in 1918. The property is now believed to be in private residential use.